Koehler. 182 Schools, Oswego buildings. OL#15, OA#15. Description Mounted on cardboard. Same as 1546b & c; photo slide with print. 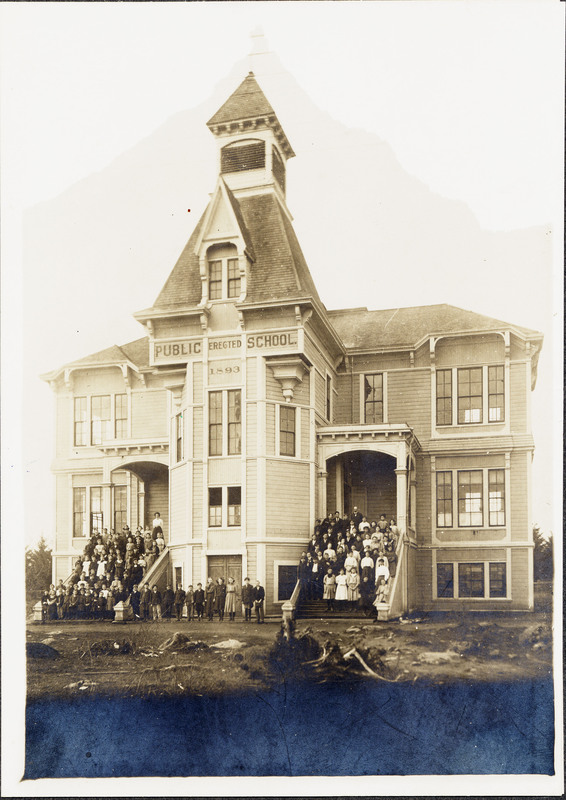 [on building]: Public School, erected 1893. Transcription Koehler. 182 Schools, Oswego buildings. OL#15, OA#15.